The Fall Business meeting of Women Who Care (WWC) was held at the Highlands in St. Marys on Thursday, October 4, 2018 with over 170 members, guests and presenters attending. The membership awarded $30,000 in grants to nine non-profit organizations. Area organizations receiving awards were: Christian Food Bank $2,000 for storage shed; St. Marys Area School District $3,600 for Food for Friends backpack program; Community Nurses $1,790 for ATA transportation for clients; Boys & Girls Club of St. Marys $5,000 for start-up funds for 2019 Summer Program; Messengers Supporting Recovery $3,000 for A Home for MSR ; Big Maple Farms Therapy $5,000 for arena base and permanent seating; Johnsonburg Area School District $4,000 for character education classes; Elk County Humane Society $5,000 for low-cost spay and neuter clinics; and Elk County Historical Society $610 towards technology upgrades. An additional Donor Advisor for a Day award is presented at each Annual Meeting when a member in attendance has the opportunity to award a $500 gift to the non-profit organization of her choice. Lynette Kraus was the lucky winner of the drawing and awarded her gift to the Elk County Humane Society. During the meeting Doris Stackpole, a founding member and the first chairperson of WWC who passed away this year, was remembered for her role in establishing the organization. The crowd was entertained by a fascinating slide presentation of beautiful wildlife photos presented by Kane photographer, Rocky Holland and his wife Marcy. The 2018 granting monies were made possible through donations made by the 229 area women who are members of Women Who Care, a philanthropic giving project of the Elk County Community Foundation (ECCF). WWC has granted a total of $188,200 to community organizations since its inception in 2009. With a goal to provide grants to local charitable organizations, women make an annual minimum contribution ranging from $100 to $1,000. Their donation entitles them to a vote on what agencies will receive the dollars as well as the opportunity to enjoy two social and entertaining events each year. All area women are invited to join Women Who Care. 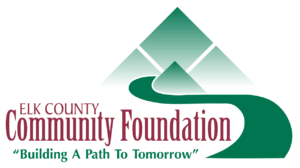 For more information contact ECCF at 834-2125, by email at eccf@elkcountyfoundation.org, or visit their new website at www.elkcountyfoundation.org.